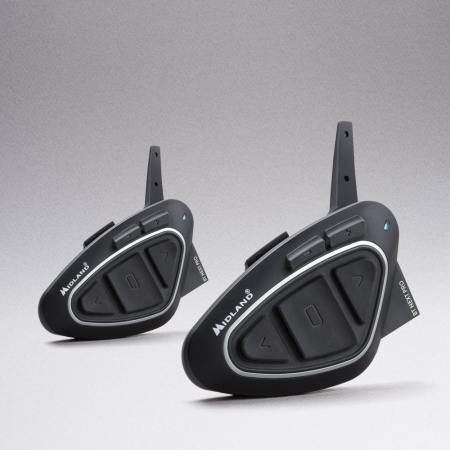 Conference up to 8 people (4 bikes); one to one 6 people.BT Next PRO is the most advanced solution on the market for those who want the most highly-performing intercom for conversations on a bike: Bluetooth 4.2 Dual Core technology puts into communication up to 4 bikes, each one with driver and passenger. with a one-to-one intercom system you can talk with up to 6 people. All this in Full Duplex mode, with digital quality, DSP noise suppression system and AGC system (that can be disabled) to control volume automatically according to background noise. The range of BT Next, without any aid (app or other) up to 1.6 Km. Midland Intercoms have two connections allowing it to be used with devices of other brands. 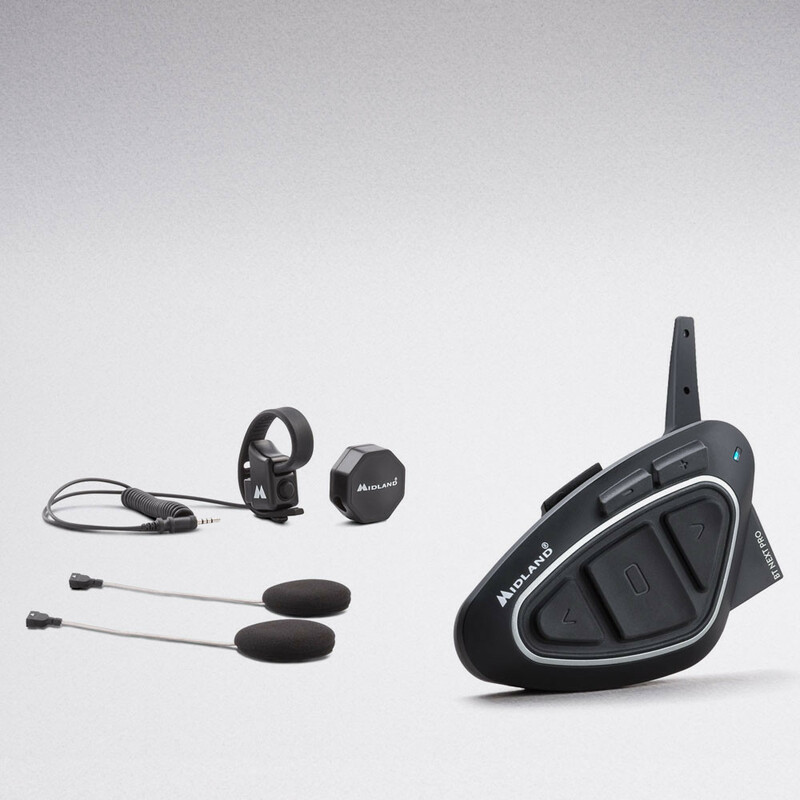 Device, boom and wired microphone, biadhesive slide-in system for all types of helmets, audio kit with ultra-slim speakers, wall charger with USB cable.